Jill Mendoza, Founder and President of IDO Inc., has spent decades mastering her craft. A Registered Interior Designer in Indiana, she has earned certifications and cemented affiliations that stand as testaments to her sterling reputation among her peers. In fact, every member of Jill’s 15-person team at IDO is committed to excellence in creating and supporting mission critical commercial interior environments for a healthier, happier and more productive world. Those solutions run the gamut from interior design to workplace planning and move management strategies. IDO is also widely known for expertise in sustainable design. The team educates clients about the importance – and affordability – of sustainable design every day. Putting their money where their mouth is, the team in 2007 renovated their own facility to become Indianapolis’ first Leadership in Energy and Environmental Design Commercial Interiors (LEED CI) Silver-certified building. Jill graduated in 1980 with a Bachelor’s Degree in Interior Design from Purdue University, West Lafayette, Indiana and entered the world of Entrepreneurship when she founded IDO in 1992. 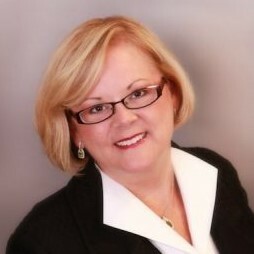 She currently serves on boards for the Dean’s Industry Advisory Council, Indiana University Purdue School of Engineering and Technology; Interior Design Advisory Committee, Ball State University; Netlogx an Indianapolis based Technology firm and a Dayton, Ohio based Non-Profit Organization, Aileron, as a member of the Client Advisory Council. IDO is also certified by both the State of Indiana and City of Indianapolis as a Women Business Enterprise and Nationally by the Women’s Business Enterprise National Council (WBENC).